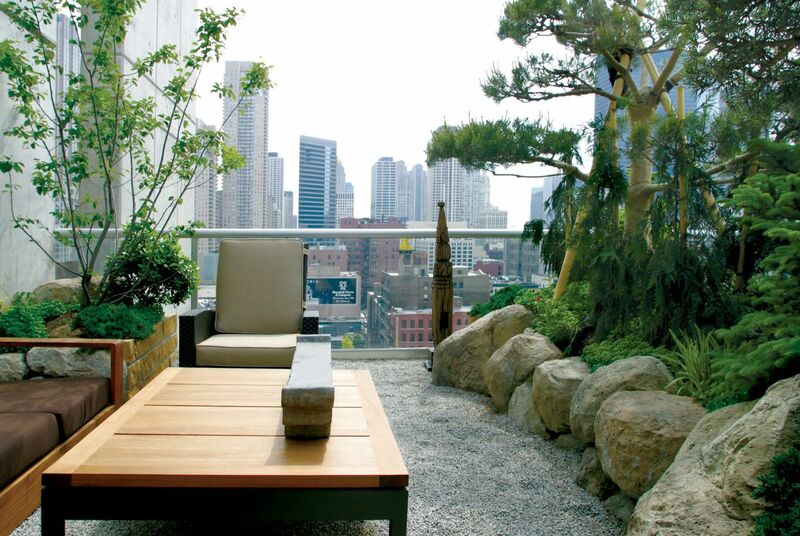 Built on the 14th floor, 2,800 square-foot penthouse terrace of a condominium, this project uses Japanese landscape design principles to create a sophisticated urban oasis in the heart of downtown Chicago. 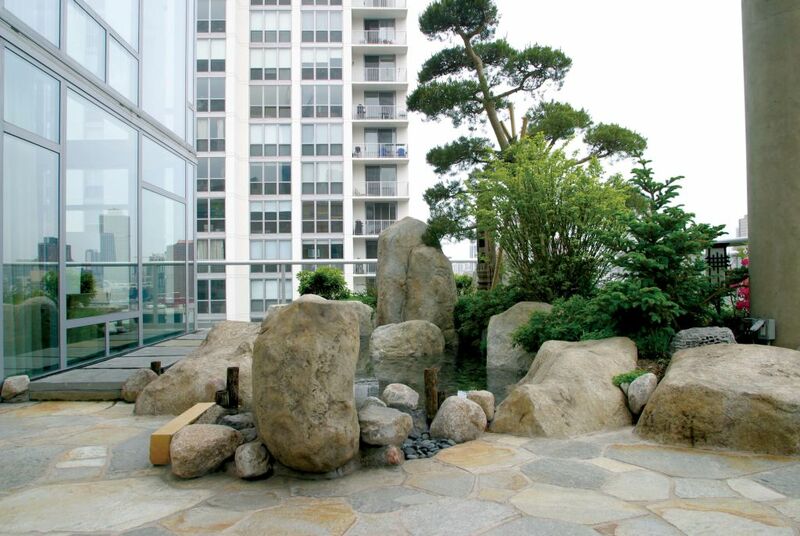 Designed with the aesthetics of natural elements in mind, this landscape design was also carefully planned to complement the interior design and architecture, integrating the garden with various living and working spaces. 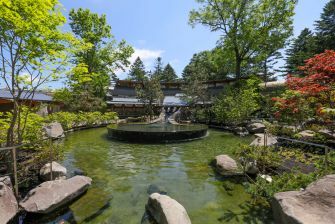 The project required special consideration of the site's strict weight requirements and exposure to extreme temperatures. 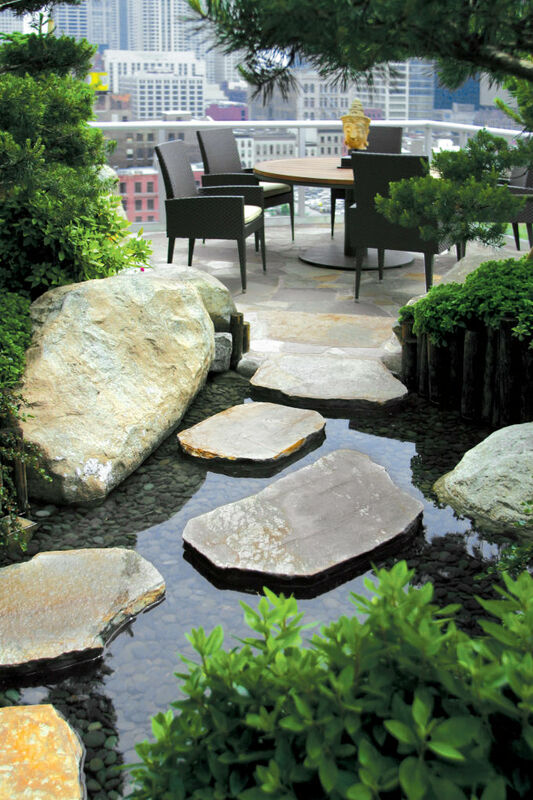 In addition, the client required several distinct spaces for different purposes within the garden design. 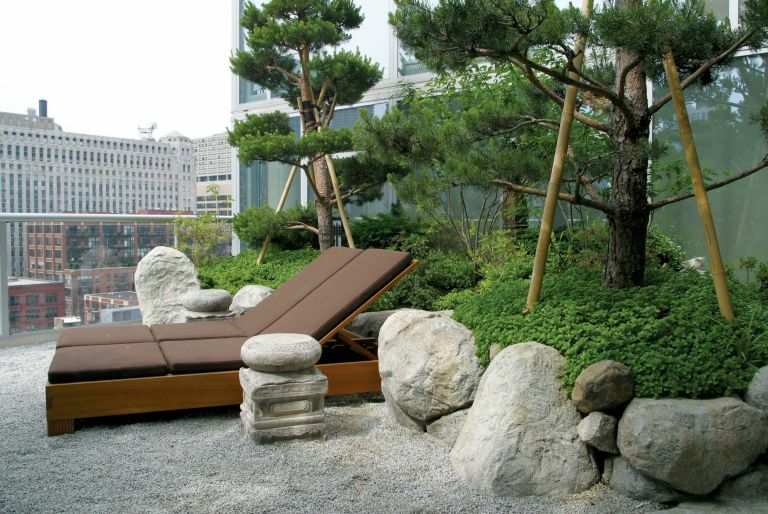 With economical use of space and screening, Kurisu met these needs, creating a private space for sunbathing, a separate lounge area and a secluded are for business meetings. 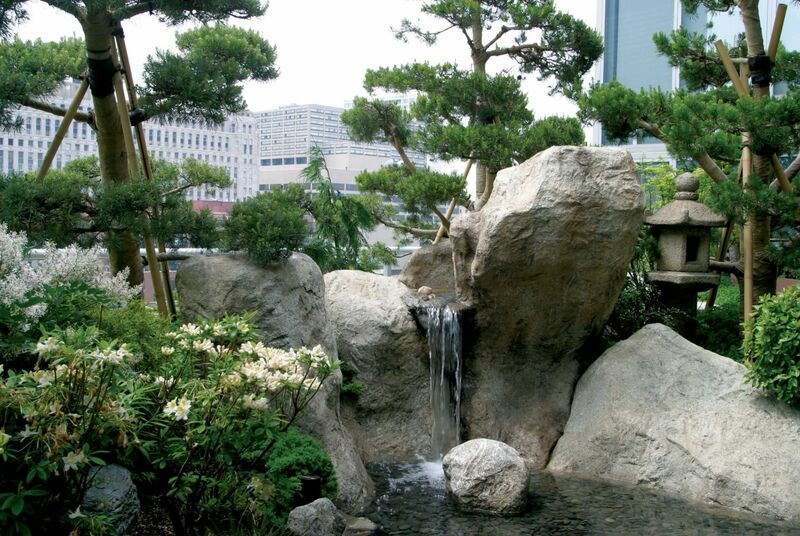 Shallow water features were created to look attractive either wet or dry. Specimen trees were lifted into place by a crane positioned on the street below. 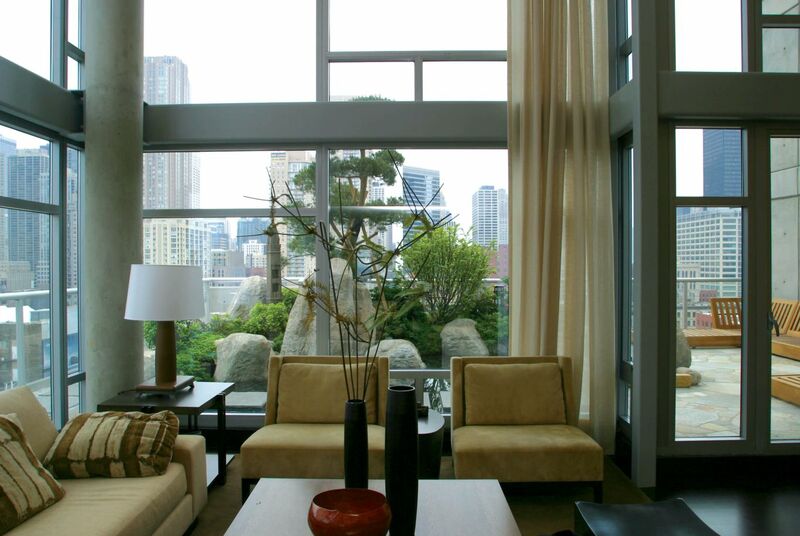 Specially designed cultured stone helped Kurisu meet the weight requirements, and treatment of root balls and planting beds ensure that the trees survive harsh winter weather. When people come to our home, they feel like they've entered another world. We're purposefully creating an environment to defuse the stress of modern life. It's our special romantic getaway. 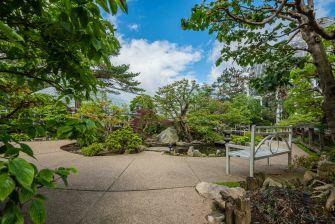 To have a garden like this in the middle of the city - we just love it. The process of design and installation was one of firsts and bests. On Kurisu's initial visit to the site, he was struck by the unique opportunity it presented to a landscape designer - fashioning a Japanese garden in the sky, complete with water features and rock and boulder hardscaping to compliment the evergreen "forest" they'd be creating.